Sly Fox has already had a busy year and it’s hardly summer yet! Not only did they undergo a complete transformation in the artwork that adorns each of their cans – they’ve also introduced a new, year-round IPA – Vulpulin and released a new seasonal – Alex’s Lemon Wheat, which benefits Alex’s Lemonade Stand Foundation for Childhood Cancer. Both of those beers happen to pair particularly well with their latest endeavor: a 9-hole disc golf course on the grounds of their Pottstown brewery. 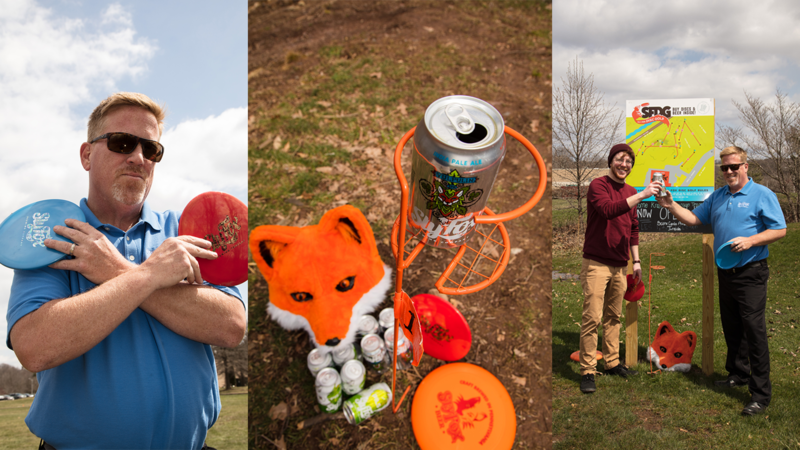 Draught Lines made the trek to Sly Fox to learn more about their year of innovation, while tossing around a few Frisbees™ with Director of Sales Mark Weinmann. Draught Lines (D.L.) Can you tell us a bit about your partnership with Alex’s Lemonade Stand? Why is it such a good fit? How did you all end up coming together for this partnership? Mark Weinmann (M.W.) It’s a pretty cool story. When I was living in Wynnewood, I was on my porch one day and saw Dr. J walking down the street. I was like, what the heck? So I ran over to get his autograph and saw that he was there to support Alex, who was running one of her last lemonade stands. Unfortunately she passed away just six weeks later. Fast forward a few years, I’d become good friends with her mom and dad and had been kicking around the idea of doing a beer dedicated to Alex for some time. 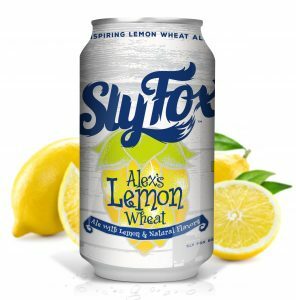 When I started at Sly Fox, they jumped at the chance to partner with Alex’s Lemonade Stand. The result was Alex’s Lemon Wheat. It’s not a shandy, it’s not a radler. 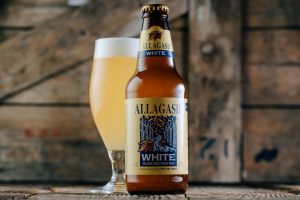 It’s an ale with real lemon and natural flavors. We spent a lot of time working on this beer to get it just right, something that would continue the success of Alex’s original vision. One dollar for every case sold is donated to the foundation, so we’re proud we can do it the right way and sell beer that supports such an amazing foundation. D.L. You also just released Vulpulin IPA. How is it different from your Rt. 113 IPA? M.W. We love Rt. 113, but when we first brewed it years and years ago, it was what the IPA drinkers wanted at that time, which was an IPA with much more of a malt backbone. 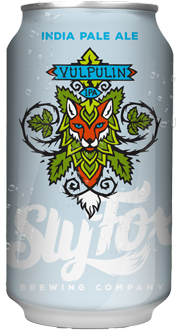 Now craft drinkers are looking for something that’s a little more hop-forward, which is what Vulpulin offers. IPAs aren’t going anywhere and we wanted an IPA that would round out our portfolio. 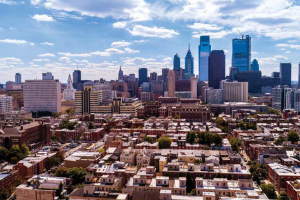 It’s really exciting and gives Philadelphia a killer, local IPA that beer nerds can geek out to. [Mark hits a disc golf shot from about 50 feet away.] Bingo! D.L. Okay you’re really good at this. M.W. Well, with the course being in the brewery’s back yard, I get a lot of practice. D.L. Why was the decision made to add a disc golf course? M.W. Craft beer drinkers are active, and they love the outdoors. We want to have fun with it! We always have fun, outdoor events here at the brewery like our Can Jam Music Festival and our Cyclocross race. 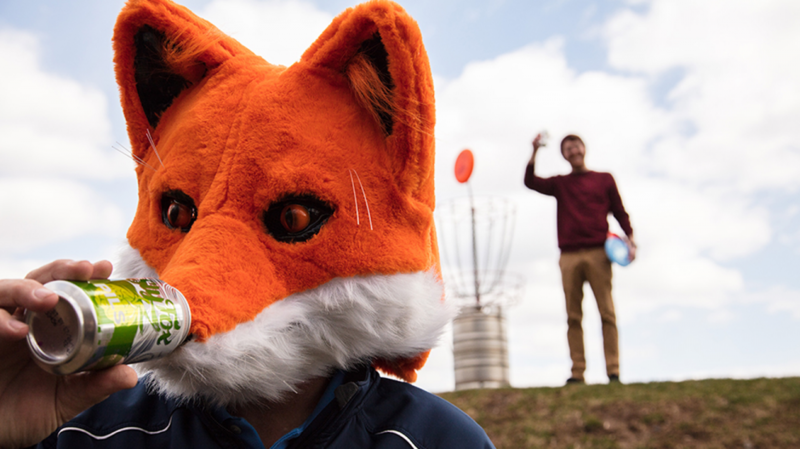 With disc golf being one of the fastest growing sports, it felt like a no-brainer. We just love giving people a reason to come out to Pottstown. 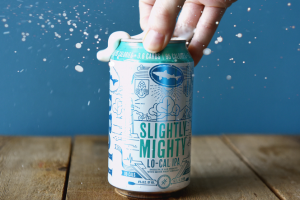 When you visit Sly Fox brewery and tasting room, you don’t just stop by to grab a beer and take a tour of the brewery – we have a whole lineup of things to do. Our first disc golf tournament is on July 22nd. And the only rule on this course is that you have to play with a beer in your hand!